This long-term survivor was a homeless teen addict, now she's a college professor, HIV researcher, activist, and mom. Carrie Foote understands young love. At 17, the New York City native and high school dropout was homeless and hooked on heroin. Then she lost the only thing good in her life: Danny, her 29-year-old boyfriend of nearly two years, who died of endocarditis and lung failure related to injection drug use. Rather than pushing her to quit drugs, his death led her to double down in grief. Her father talked her into a three-month rehab program. He lied; it was actually a year. It saved her life — and gave her a purpose. It was at the Colorado rehab program where she first tested positive for HIV. The year was 1988. Her contributions are numerous. She chairs the HIV Modernization Movement Indiana, is an active member of the International AIDS Society, Women’s HIV Research Initiative (Well Project), Sociologists’ AIDS Network, Positive Women’s Network-USA, the Sero Project, and the International Rectal Microbicides Advocates. She teaches a course on the social drivers of the HIV epidemic, organizes a team for the Indiana AIDS Walk, and is a board member of Brothers United, an HIV prevention and support services organization serving predominantly black communities, LGBT or gender nonconforming. Foote’s most recent research project is a collaboration with the Centers for Disease Control and Prevention and the Indiana State Department of Health that gives voices to people who inject drugs, many who are HIV-positive, in Austin, Indiana — the epicenter of the largest HIV outbreak among injection drugs users in the U.S. in nearly two decades. 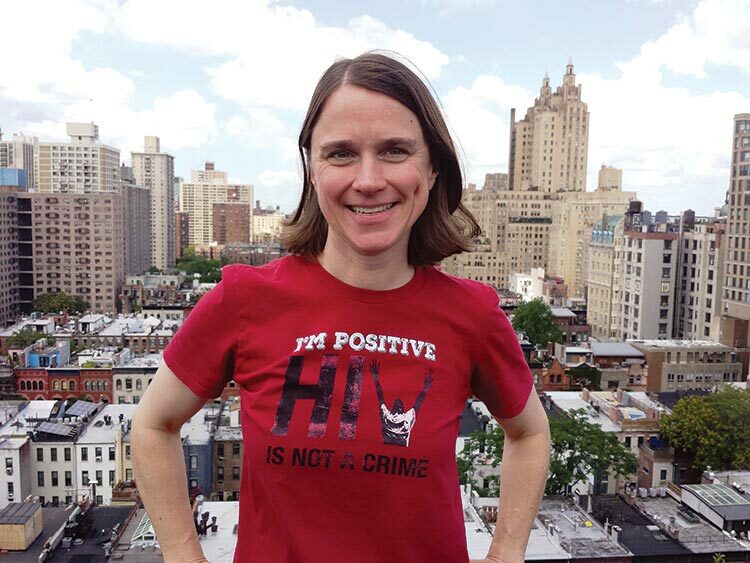 Now 46, Foote is spearheading the effort to modernize Indiana’s HIV laws, while also managing the PLHIV and Memoir Project, “a living archive of sorts that aims to pull together in one place, any [and] all HIV-related memoirs or biographies ... including those written by people deeply affected by HIV pandemic….” She hopes to ensure that the histories of people living with HIV, including the tragedies and triumphs, are kept alive and documented.